Yorkshire is a historic country of Northern England with a rich industrial heritage. Pioneer on the Industrial revolution, it hosts a large number of industrial buildings originally focused on textile production. Nowadays, the restructuring of textile industry has put at risk much of them. 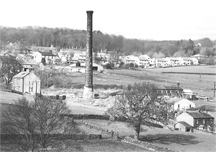 The aim of this website is to divulgate the Yorkshire industrial heritage and to collect information about it. More info. 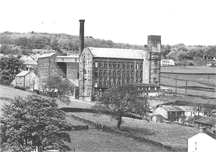 Pictures of Lower Providence Mill (Keighley, West Yorkshire), before and after its demolition. Map of Yorkshire mill towns (1770-1930), made with Google Maps. Yorkshire listed textile mills inventory, classified by countries and towns. Engravin of West House Mill (Fewston, North Yorkshire), demolished.